Following their explosive run on this summer's Warped Tour, interplanetary barbarians GWAR have announced a huge fall tour and a new album. The Blood Of Gods, GWAR's 14th studio set, arrives on October 20 via Metal Blade Records. Check out the band's complete list of cities and dates below! Tickets for The Blood Of Gods Tour go on sale this Friday, August 18, at 10 a.m. EDT. 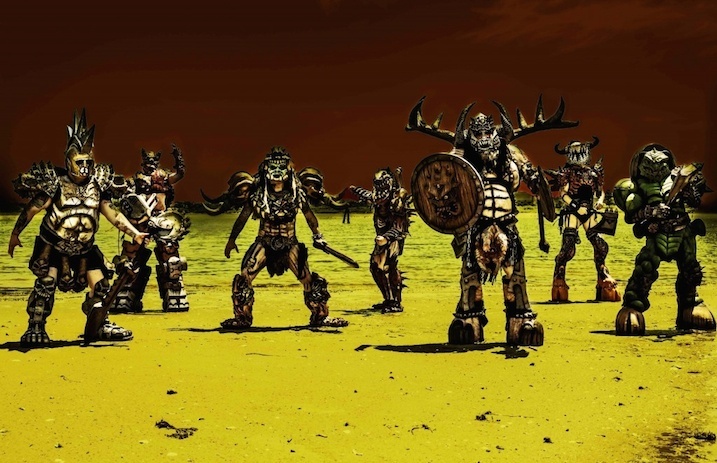 More ticketing information and exclusive GWAR VIP package rates (as part of the “The Lords And Masters VIP Experience”) can be found here.